Hi friends, how is the summer treating you? Here in Texas,it’s terrible. So to cool us down a little bit from the heat waves I made these Watermelon Beetroot Yogurt Popsicles. How are you spending the vacation with your kids?How do you engage them?We spend a month in India.Kids enjoyed playing with their cousins and attended marriage. It’s the first time they are being part of the Indian marriage. So it was very fun and everything looked new to them. When we came back, they missed all those fun.Still, I was trying to engage them with fun activities. My daughter loves arts and crafts. So it’s not hard to keep her engaged but my son is one super active kid. It’s hard to please him. We enrolled them for swimming class.It’s twice a week. But what about other days? Hmmm, finally I came up with yarn crafts and bubbles came to my rescue. We were making bracelets, pom poms with yarn and having fun blowing bubbles on our patio.Being so hot,kids asked me to make some popsicle. Having watermelon in hand, I was thinking to make something interesting. That’s when I saw a half cut beetroot in the fridge. And Watermelon Beetroot Yogurt Popsicle was born. Making popsicles are not a big deal. But coming with right flavors are?Do you agree with me?When I tried this popsicle I was not sure how successful the flavor would be.But my son loved it at the first bite.I microwaved the beetroot, so they don’t have the raw smell.Then I blended beetroot and watermelon. It had the beautiful color which I loved. I decided to make it a layer.So I blended yogurt in the same mixer I used to blend beetroot and watermelon which gave a beautiful pink color.The last layer was just the yogurt.I used honey as sweetening. You can use either honey or sugar.Then layer it in your popsicle mould. Make sure that the first layer is set before you pour the second layer. I didn’t had that patience,so you can’t see my second layer prominently.But who cares of the layers when one is interested in the taste of the popsicle. 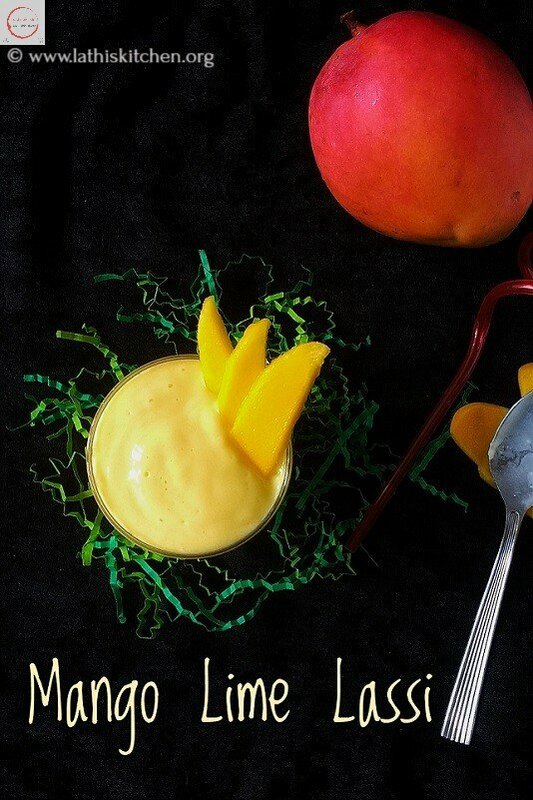 If you ever try this recipe and liked it please don’t forget to click a picture, share it in Instagram with #lathiskitchen and tag me @Lathiyashanmugasundaram.I would like to see your creation.You can also follow me on Facebook, Twitter, Pinterest to get updates. You can also subscribe us for free and get yummy recipes right into your inbox. Microwave beetroot chunks for a minute to soft. Blend Watermelon and beetroot chunks with required honey till blended. Blend 2 tbsn Yogurt in the same blender with required honey. Remove it in another bowl. In another bowl, mix other 2 tbsn yogurt with required honey. First pour the beetroot and watermelon mixture in a popsicle mould. Freeze for 2 hours or till set. Then pour the pink yogurt mixture and freeze for 2 hours or till set. At last pour the yogurt honey mixture and freeze overnight. Enjoy the popsicle in the hot sun. Making layer is purely optional.You can make the whole popsicle with the watermelon and beetroot mix. You can skip honey in the beetroot and watermelon mixture as the beetroot have natural sweetness. Be sure that the first layer is set before you pour the second layer. If not the two layers will get mixed. Having watermelon in hand, I was thinking to make something interesting. That's when I saw a half cut beetroot in the fridge. And Watermelon Beetroot Yogurt Popsicle was born. I wouldn’t have thought to add beets to popsicles, but what a beautiful color! I’m sure it must take tons of energy to entertain kids over the summer, but it seems like you’re doing a great job. It doesn’t get much better than homemade popsicles on request! Thanks for sharing these at Fiesta Friday! I love the original flavours and colours of these fun treats. My grandchildren would love them, their mother approve, and I’ll make enough for myself too. Thanks for sharing them with us at Fiesta Friday. The watermelon is a brilliant idea. So cooling in this unforgiving heat! lovely combination. I am sure they will be gone in no time. looking so delicious.I am yet to make yoghurt based popsicle. Summer break can be a real challenge for parents to keep their kids happily occupied and eating healthy. How creatively you handled this challenge! I love these very red and very yummy popsicles. Love the yogurt fruit combo and the posicles made from them are so refreshing and perfect summer treat..lovely share ! If I would give this popsicle to any kid, she is going to jump with joy….What a lovely looking popsicle! With the looks it’s healthy too….what else is required. Popsicles looks great, perfect summer treat!! These popsicles looks so tempting i feel like having one right now without even thinking about my diet, thanks for sharing a healthy and yummy recipe. This healthy popsicle looks absolutely delicious and creative idea of using beetroot with Watermelon in an icecream.Perfect for this scorching heat. The popsicles look so cute ,,different shape for a change. Oooh these sound so refreshing. And I love your popsicle molds! I love this since one of the things I love to do with the kids is make popsicles. I will be trying this recipe with the exception of the beetroot since I’ve never actually purchased that before. Nevertheless, I pinned this so that I can come back and recreate it. Thanks for the recipe. 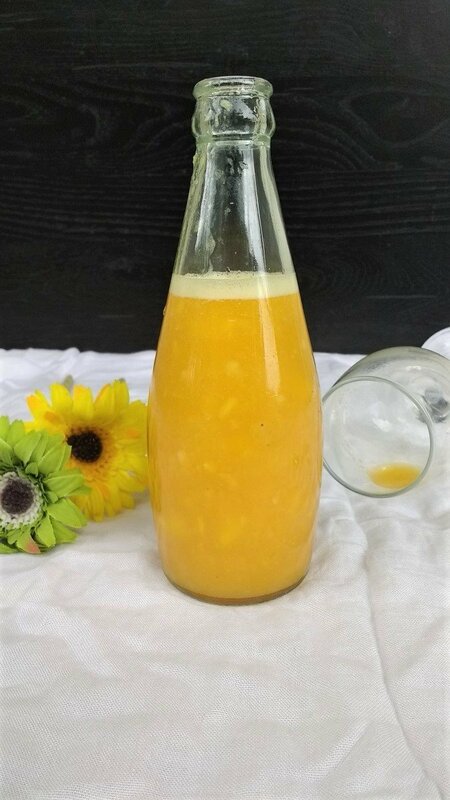 This looks healthy and refreshing in this scorching summer! I love a homemade ice lolly, nothing beats it in the heat. Thank you for sharing to CookBlogShare.